In June 2018, the Danish bank Sparekassen Thy opened a new branch in Viborg, Denmark. 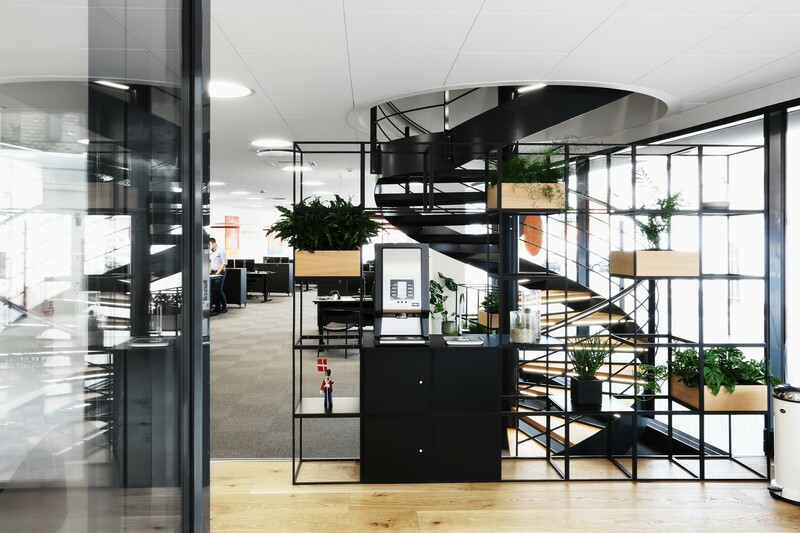 ERIKarkitekter, one of the country’s largest architecture companies, was given the challenge of designing the new interior. The premises needed to fulfil the demands of a modern bank and provide staff with a multi-functional space where they could deliver the very best customer care. The brief included devising a client meeting area that allowed for discretion within the otherwise open-plan space. ERIKarkitekter specified GRID to form this multi-functioning and elegant room-in-room space. 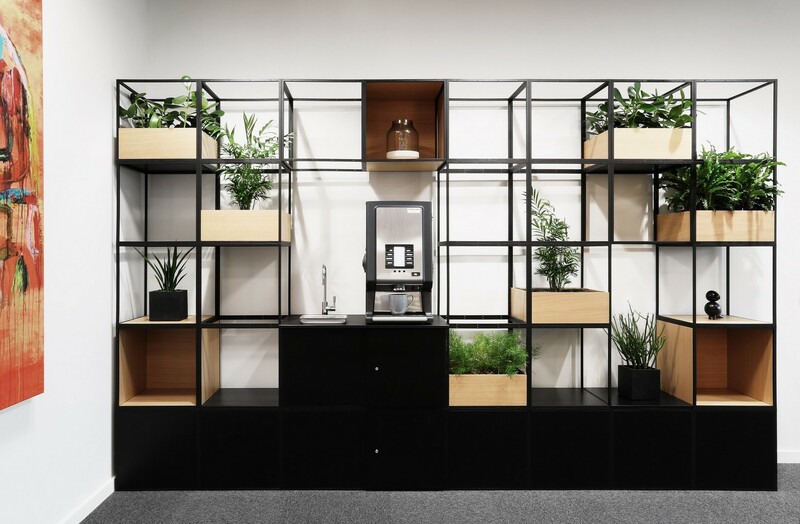 GRID modules were built to form freestanding room dividers and wall standing units. Integrated into these wall units were oak display boxes and oak plant boxes brimming with greenery. The result: a welcoming and ambient meeting room. 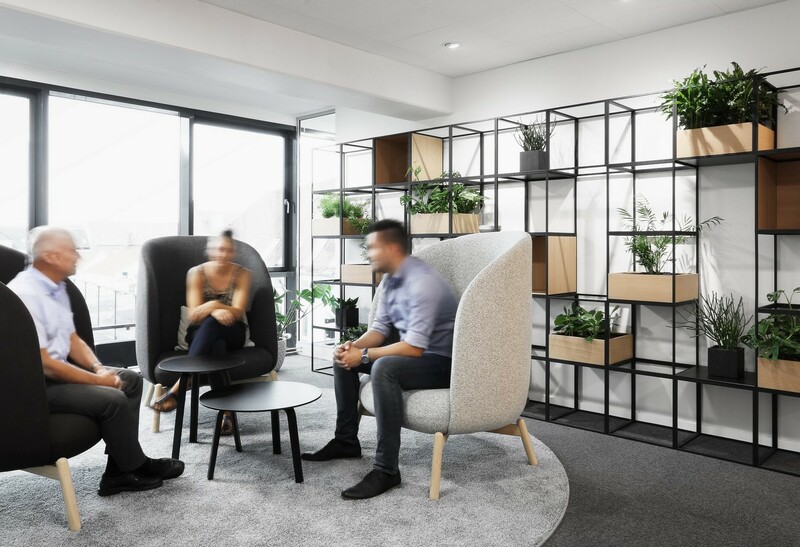 ERIKarkitekter were able to create a space where clients can discuss their financial matters discretely, divided from the rest of the office while still enjoying the openness of the entire space and the natural light. 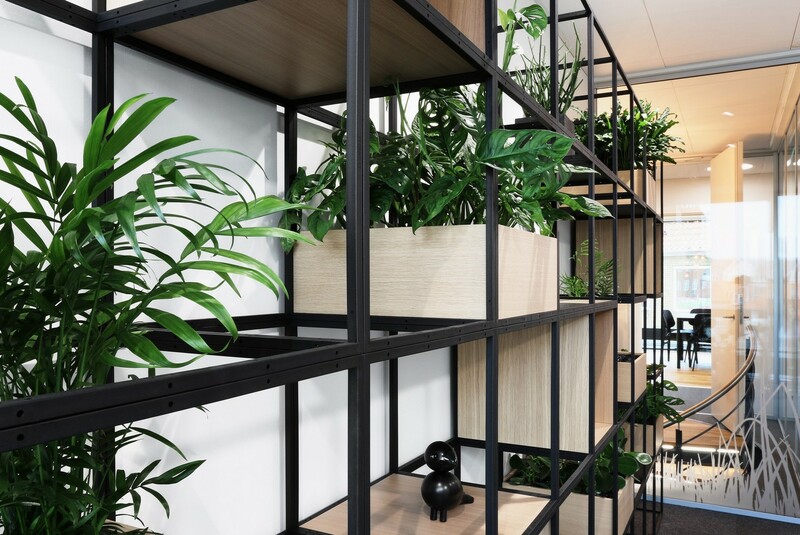 The use of GRID’s plant boxes in oak brings luscious green life into the space, creating a soft and elegant contrast to the black GRID structures. 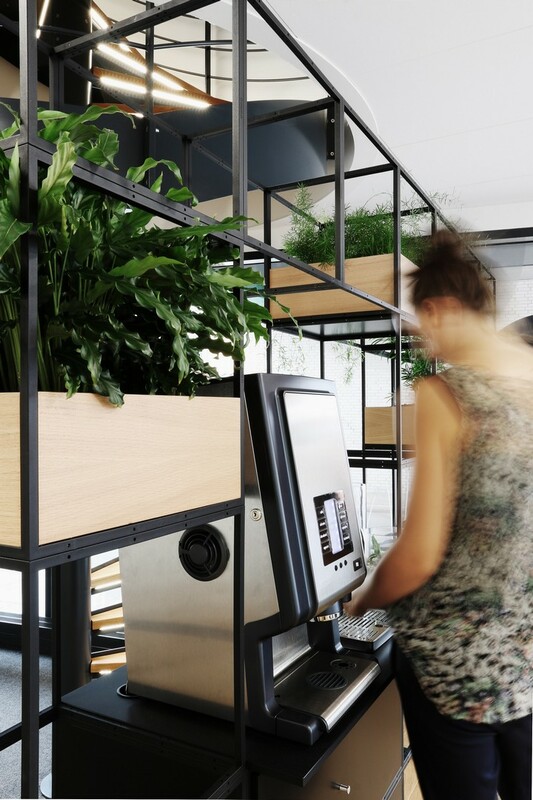 And of course, a vital element of the design was to incorporate a self-service coffee bar for customers! Beneath the coffee bar, panels and cupboards were inserted to make room for storage. GRID sides in oak merge the serenity of nature into this corporate space. All of these elements together demonstrate the ultimate adaptability of the GRID system. GRID is an architectural interior system that conquers the challenges of any space. The lightweight GRID modules, measuring 40 x 40 x 40cm and available in black and white, are the building blocks of the system. A GRID module can be connected to one or hundreds of other GRID modules to create a well-defined structure with the dimensions desired. 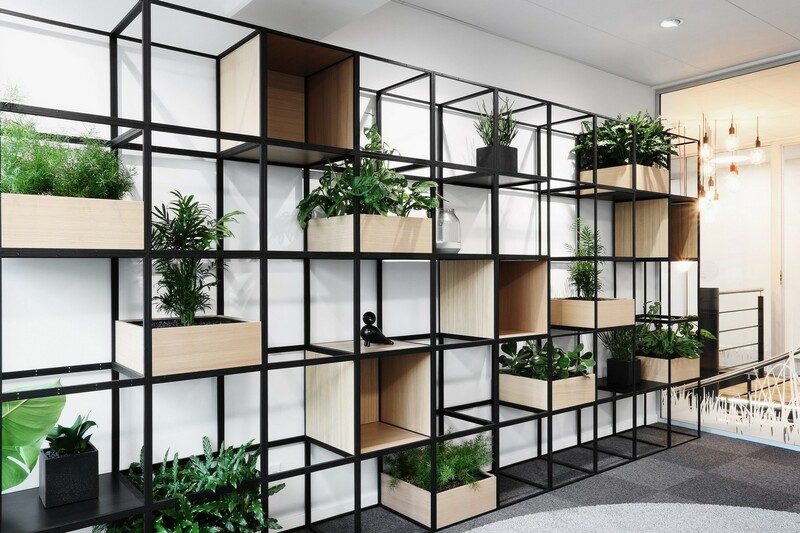 Once the structure is in place, other GRID components such as drawers, corkboards, magazine shelves, whiteboards, upholstered seats or planters can be added, to transform it into whatever is needed: a room divider, a counter, a display unit, a bench, a wall, storage or a meeting space.